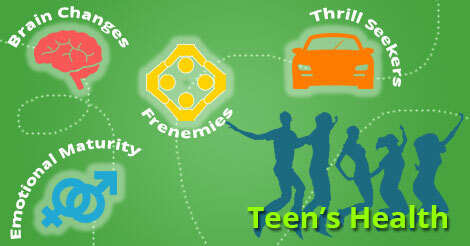 A teen section on our website needs feedback from adolescents themselves, whom it is aimed at. Hence, it seemed fitting to incorporate what they have to say about adolescence. Adolescence comes from the Latin word meaning to grow to maturity. Adolescence is a very important period in one’s life as one goes through many changes–physical as well as mental, which have short–term and long term effects. At this time in their life, teens are also very vulnerable. It has also been widely supposed that adolescence has been characterized by rebellion and great psychological disturbance. Then again, the lack of this disturbance also becomes a factor for concern. However, both these views have been proved to be misleading and incorrect. The changes that teens undergo during adolescence may occur so fast that it may be difficult to cope with them. Adolescence includes social, emotional as well as mental maturity. In fact, adolescence can be termed as a transitional stage. The person is no longer completely dependent, biologically immature and psychologically weak. Yet the person is not completely independent, mature and a strong adult. This century is known for its stress, hence today’s youth also cannot escape it. Besides, parental pressure, unhealthy competition and peer pressure also affect today’s youth. Western culture also has a great impact on today’s youth. At this age, teens become more rebellious and want to find their own identity. They tend to have disregard for social and family norms in their behavior, hairstyles and clothing. They might try smoking and drinking to prove their independence. They consider their parents to be old fashioned and restrictive. They go out more with friends rather than with their families. They now share their problems with their friends. As a sign of their independence they also start driving cars/bikes with or without their parent’s knowledge. They may also misuse their freedom.